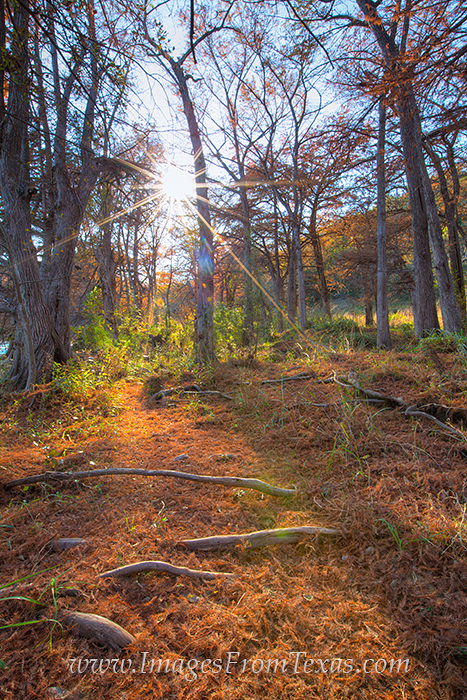 I had set out to photograph the Pedernales River at sunset, but while walking through the woods, I knew I had to attempt a shot at the forest floor covered with orange cypress leaves. This scene is pretty typical in the Texas Hill Country in late November, particularly anywhere cypress grow along a river bank. Photo © copyright by Rob Greebon.